...which I only went to for about 15 minutes. So instead here's just one picture taken in the Seven Stars, where I escaped to afterwards. 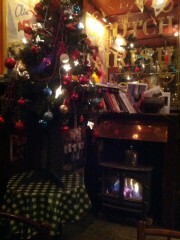 The Seven Stars looking quite Christmassy!